In case you didn’t know, it’s director Zack Snyder’s birthday today. However, it seems that the fans are the ones reaping the rewards, as we’ve now seen two behind the scenes goodies from Justice League. The first one came in the form of some intriguing test footage of Jason Momoa swimming around as Aquaman. 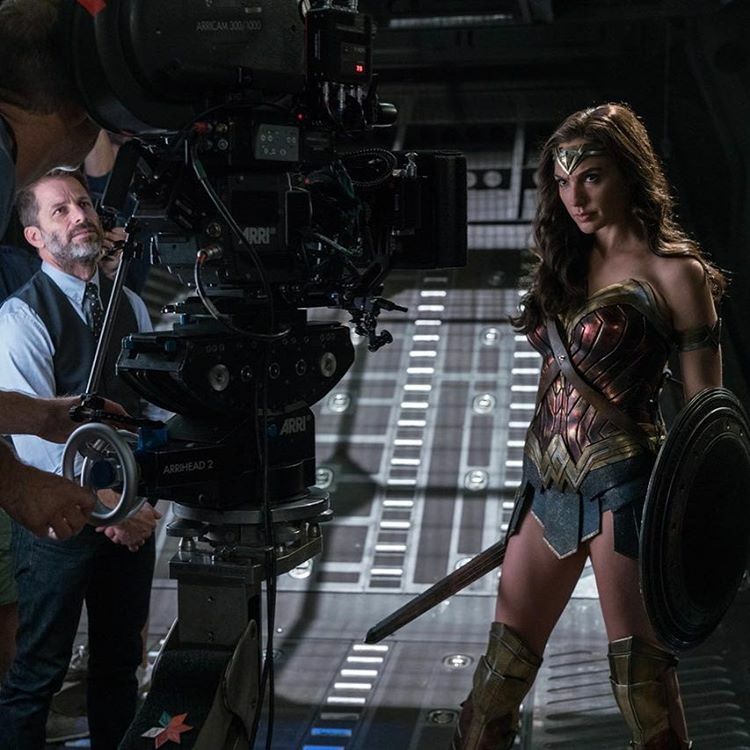 That was more than enough to send people reeling, but now Gal Gadot has taken to Instagram to share a great BTS shot from set, showing her in full costume as Wonder Woman alongside her director. There’s nothing particularly revealing here, but with a film as highly anticipated as this, we’ll take what we can get. If nothing else, it only helps further the excitement that the video of Momoa sparked earlier and already it has fans speculating as to just when that next trailer will find its way online. Rumor has it that the preview could land in theaters this month with Kong: Skull Island, but we imagine Warner Bros. will wait until closer to Comic-Con to drop it. Back to this new BTS photo though, and Gadot also posted the following message along with it, wishing Snyder a happy birthday. Justice League will be with us on November 17th, and if early reports are to be believed, it might just turn out alright. Fingers crossed, eh?